When making compost from kitchen waste I see worms turn up in the compost bin. We will see worms where ever the conditions are right for them but you may wonder, do worms help compost? Having worms in your compost is a positive advantage. Of all the natural, living, guests that will turn up in your compost, worms are the most dramatic. They will work on your kitchen waste from the earliest stages of the rot-down to the very end. What breed of worms are needed to make compost? 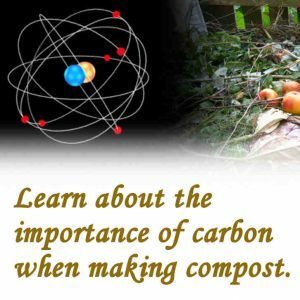 What is the difference between worm compost and ordinary compost? What happens to the worms in very cold weather? Where do the worms come from? Will the worms breed when making worm compost? 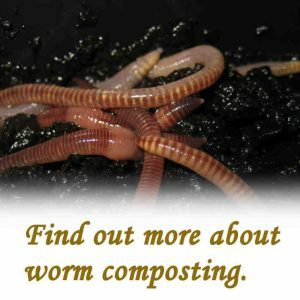 Are there any disadvantages to making worm compost? A population of worms will build up to match the amount of food-waste that’s available to them. They have the ability to convert rotten waste into a crumb. They will break it down such that you won’t recognise any of the waste by its original form, unless there are items like teabags, which they can’t digest. Worms can’t eat fresh green-waste. They have to wait until there has been some deterioration before they can move in and start to consume. This normally starts with mould. Most food waste will grow fungi on the surface in damp and warm conditions. The worms will graze the fungi as it grows. The fungi is soft for them to bite and digest. As food waste continues to break down beyond the fungal stage, the rotten material will become more digestible to worms.They will move in and consume. They will do this almost continually, stopping only for breeding and resting. When people talk about composting with worms they talk a lot about red-worms and red wigglers. The official names for these are, for the red-worms, Lumbricus rubellus and the red wigglers, Eisenia fetida. 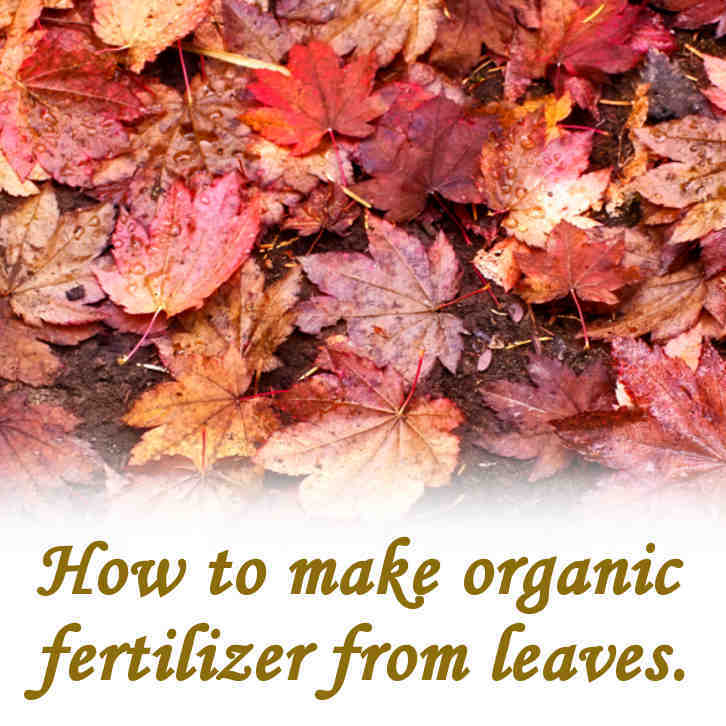 Neither of these will be found in soil unless there is an area where there is an abundance of rotting organic material. Here they will multiply very quickly. They have an appetite that will break down large quantities of organic material into worm casts, otherwise known as vermi-compost. When you set up a compost bin and start filling, it’s quite likely that you won’t see any evidence of worms for some time. It’s only when the waste, that you put in the bin, starts to rot down that the worms may appear. This will only happen if you are lucky enough to have a population of worms that happen to be in the soil, near to your compost bin. This can happen and when they explore enough to find your compost bin with rotting material in it, they will move in and take up residence. If you find, after a few months, that there are no worms in the compost that’s forming in your compost bin, then you may want to bring in some worms from elsewhere. You don’t need a massive number to get things started. Just a handful will get to work and breed up over time. You don’t need to be fussy about which of the two breeds to look for because either will do what you want. 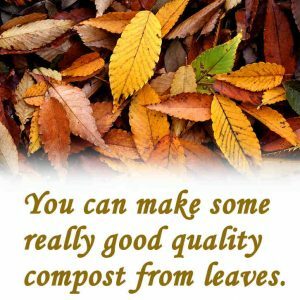 You could acquire a few worms from a friends compost bin or if you go for a walk through open parks where there are fallen leaves, you could dig around to see what you can find. Rotting leaves are where I would expect to find red worms. If you can’t find any or you aren’t sure of what you’re looking for, then you can buy worms on the internet. You don’t need to buy many. 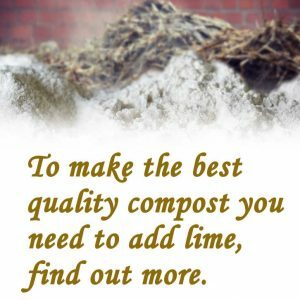 For home composting, the minimum order quantity will be enough. What ever you get hold of from where ever, they will multiply very quickly in the right conditions. 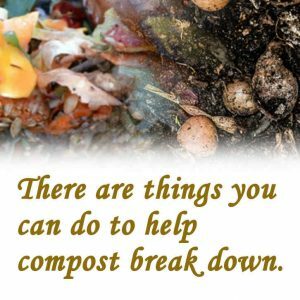 Ordinary compost will have broken down through a process that involves just microorganisms. This will leave a fibrous material that will hugely benefit any soil. Worm compost is what is left when worms have digested everything in their path and left just worm casts. 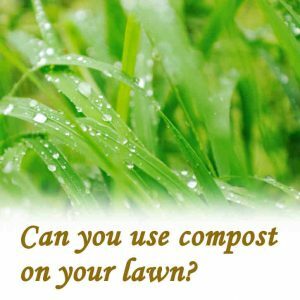 Worm compost is what happens when the entire amount of organic material is totally consumed by worms. This is what will happen if you have a dedicated wormery. These often consist of layers of trays stacked in a column. The most rotten material will be on the lower trays. This is where you will find the most worms because this is where they will find the most consumable waste. The upper trays will hold the most recently added kitchen waste which won’t be rotten enough for the worms to consume. When it is rotten enough, the worms will find their way in to it and start consuming. The finished product from this process will be entirely worm casts, otherwise known as vermi-compost. There is some debate as to whether this finished material is of much use as plant food or natural organic fertiliser. Much of the nutrients, that plants need, will be in the worms and won’t be otherwise available. The best part about putting kitchen waste in a dedicated wormery is that it’s a highly efficient way of disposing of green waste. A wormery can be operated in the home. When they are working at full efficiency, worms will convert waste to casts very quickly. 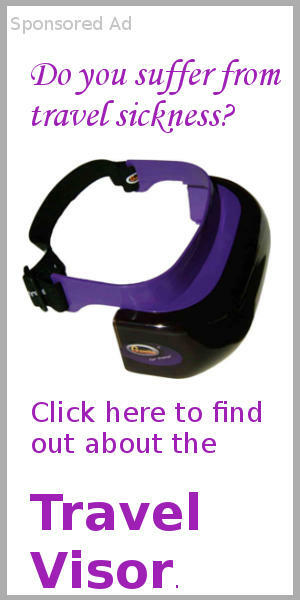 This will reduce the risk of smells. There is the advantage of liquid run-off which can be collected and used as a plant food. It’s wise to empty the collection vessel regularly as this will avoid overflow and possible smells. Ordinary compost will be much more fibrous. It will contain more nutrients than worm compost although much of this may be taken up by worms that may be living in the soil around the plants. Ordinary compost may have been formed from either the hot method or cold. The hot method will deter worms as they can’t exist where there are high temperatures. When it cools down the worms will move in and start feeding. Worms can’t cope with hard frosts. Earthworms will sense the drop in temperature and move away from the cooling soil. This means burrowing down deep where there is enough insulation above to protect them. They will then go into a form of hibernation until the temperature rises. In this state they surround themselves with a slime that provides some extra insulation. The slime is apparently high in nitrates, so having a good population of worms in the ground will help to take nitrates down to where the plant roots need it. In a compost bin the options for the red worms are similar to those of the earthworm. In a full bin they can move to the middle of the mass where there may be enough insulation to protect them. The heat conductivity of compost in the making will be very similar to that of soil. This may very a little as, in compost, there may be some air pockets which will provide some extra insulation. In very cold weather the worms may have to evacuate the mass of compost in the bin. 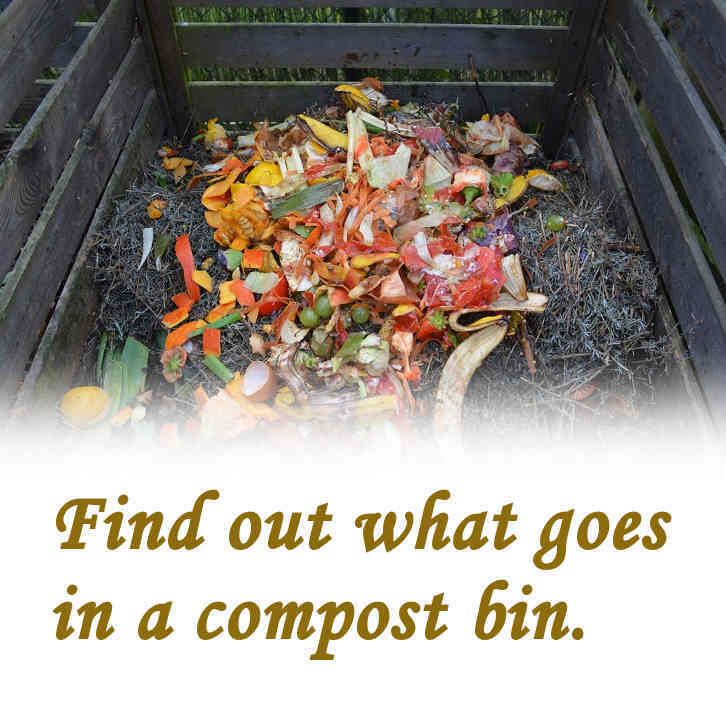 As most standard compost bins are open at the bottom, the worms can escape the falling temperature and burrow down into the ground beneath the bin. Here they will go into a forced hibernation, returning to the compost mass as soon as conditions allow. If you have a wormery composter, then you need to take extra care of it. The worms can’t escape the falling temperature and will be relying on you to protect them. They will need to be kept in house away from the cold. If it’s in a room where there is no heating and the temperature will drop, then cover the wormery with insulation layers. Old blankets or bubble-wrap packing material will make a big difference. The same will apply to a compost tumbler. This will need to be covered with plenty of insulation layers. With all of this, in a very cold period, the worms will move to the middle of the available mass and stay there until conditions improve. The worms in the Rolypig composter have an advantage because the Rolypig sits on the ground. Some of the worms will escape through the air-holes and burrow down into the ground. They will go down as deep as they need to go. Then, when conditions improve, they will come back up to the surface and go back into the Rolypig. Worms live in the soil beneath our feet. You won’t find them in all soil. There are some soil conditions where you won’t find any, for example heavy clay soil is unattractive to worms as there is little or no organic material available. Earthworms will also be found where the soil conditions are suitable. When you put all the life forms together that live in the ground beneath our feet it probably equates to or possibly exceeds everything that functions on the surface. When a potential food supply in the form of suitably rotten material is placed on the ground where there are worms beneath the surface, they will rise up and burrow into it. You won’t see this happening. Worms have to stay out of sight as they are easy prey to so many predators. The first signs that you may see, will be when you dig over your compost, find a heaving mass of worms and you are left to wonder where they came from. When they move in to compost and start to appreciate, what is to them, a vast volume of food, they will start to breed. Their numbers will expand very quickly and out of control. They will often reproduce to numbers beyond the available food supply. This will explain why you often see so many where the conditions are right for them. If you are in an area where the conditions are so barren that there are no worms at all, then you can import them from elsewhere. 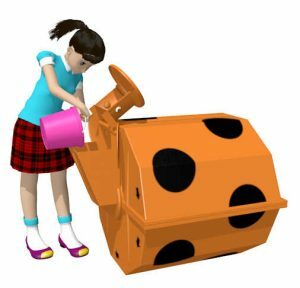 If you have a friend in another district who makes compost, then see if you can negotiate for a bucket of compost from their compost bin. This will get things going for you. They will quickly migrate from the made compost into your compost and get to work. If you can’t get worms from a friend then your only option is to buy worms. This can be done online. You don’t need a large amount of worms. Buy the minimum number available but don’t order them until you know that your compost has rotten down enough for them to feed from it. 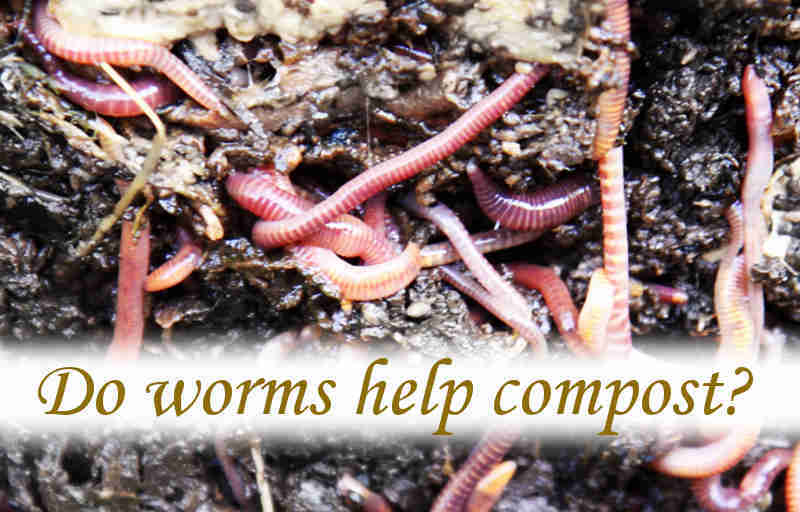 For a new composting situation, allow at least two months before buying in worms. After this time the organic waste from a kitchen should be rotten enough for them to go ahead and start reproducing. Where the conditions are right, worms will breed. There will be nowhere better for worms to breed than in a compost bin where there is a mass of well rotten kitchen waste. In reproduction, worms lay eggs, or cocoons. These will hatch after about 3 weeks. Tiny worms will appear, there will be at least three young per hatching. They will start to feed straight away. At this stage worms are at their most active when feeding and it should be no surprise that they grow so fast. When they reach two to three months, they are mature enough to start breeding. A fully grown worm will lay two cocoons every week provided that there is enough food around them. In the most ideal of conditions a population of worms is likely double every three months. Worms breeding in compost will happen without any controls. They will keep going until their numbers exceed the food that is available to them. When the population level has reached the point where there is an excess of worms then there will be an exodus. This is when you may lift the lid on a compost bin one day and see worms all over the inside of the bin and the lid. They will be exploring and will leave the bin, but there will be a sufficient population to carry on consuming waste that you continue to add. You will not tame their habits. All that matters is that if you have a population of worms and you must keep feeding kitchen waste into your compost bin for them. When the fresh waste has started to go mouldy or rotten down enough, the worms will be there to consume it and break it down completely. The only disadvantage to making worm compost is that the worms will absorb every available nutrient that the kitchen waste will offer. This may not be a problem to you if you are using a purpose-built wormery for disposing of kitchen waste. They will consume anything that’s organic, in the true sense of the word, provided the material has decomposed to a point where it’s palatable to the worm. They will convert it to a fine crumb. Worms will ingest material that has been digested by other worms. What you are looking at when they have finished, will have been through a worm at least twice. Fully digested worm compost won’t have much left in it to use as plant food. However, it will make a contribution to improving the structure of most soils. 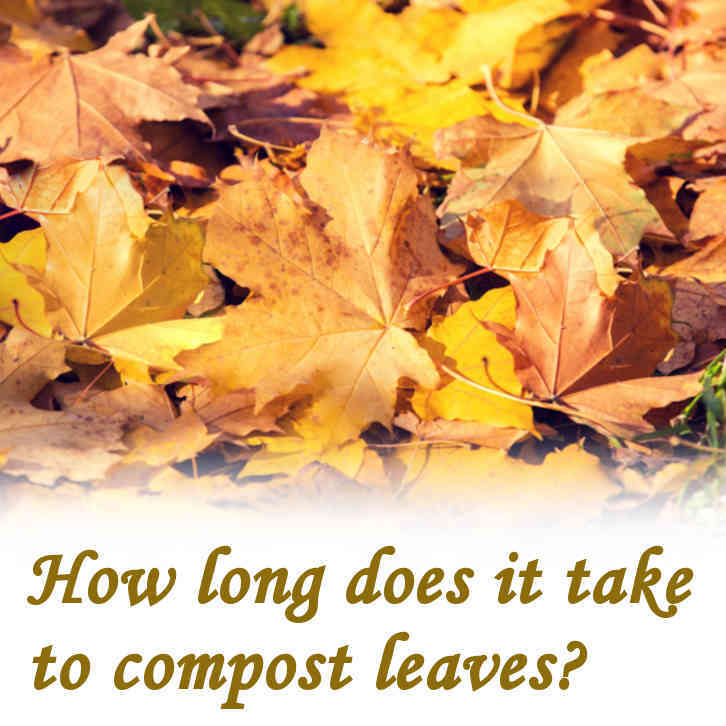 Previous Post: How do leaves decompose faster? Next Post: What does lime do to compost?